The Coastguard has billed the owner of an oil rig that ran aground in the Outer Hebrides for £400,000. The Maritime and Coastguard Agency’s costs come on top of almost £17m known to be spent so far recovering the 17,000-tonne Transocean Winner. However the likely final bill is expected to be around £30m. 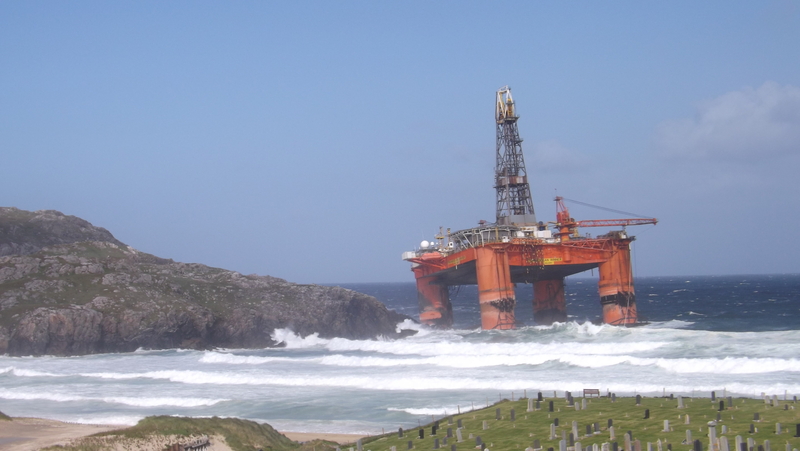 The Transocean Winner grounded on Lewis during a storm on August 8 and remained there for two weeks before it was towed free. It is now in Turkey being scrapped. A spokeswoman for the MCA said yesterday that its costs for responding to the Transocean Winner incident “are in the region of £400,000”. “It is our intention to recover the cost from Transocean and the MCA has submitted a claim accordingly,” she said. The bill does not include that for the police and other public services involved in responding to the grounding. The operation to recover the rig has already cost Transocean $21m, according to its latest financial statement, but which only covers to September 30. It is likely the bill will greatly soar because the rig only arrived in Turkey on November 1 – more than a month after the end of the third quarter reporting period by Transocean. Transocean has already paid compensation to local fishermen affected by the incident and donated £120,000 to the community. In Turkey the rig is being scrapped at a place known locally as “blow torch beach” after being carried more than 3,000 miles on the back of a ship. The rig was being towed from Norway to Malta when it broke free from the tugboat Alp Forward and crashed into the shore at Dalmore Bay, near Carloway. Two of its four fuel tanks ruptured in the collision and spilled about 53,000 litres of diesel into the sea. Most of the pollution is believed to have dispersed harmlessly but the damage suffered by the rig when it grounded meant it was too hazardous to attempt a second tow. Instead it was carried to Turkey on the back of the 60,000-tonne heavy-lifting vessel OHT Hawk. The rig grounding sparked an economic bonanza for Lewis with personnel booking hotels and B&Bs as well as spending in shops. Transocean also employed local labour with around 40 local firms benefiting.